As everyone knows, we usually hold our reunion on the third Sunday in May. Unfortunately, we’ve had to change the date, for this year only, due to Graeme and Wendy needing to attend the baptism of Wendy’s granddaughter at an unmissable large family gathering in London on the 19th May – our usual reunion date. 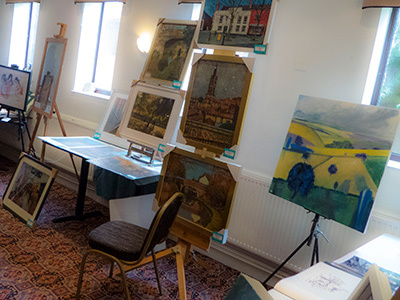 Our 2019 Reunion and Exhibition of the Moseley School of Art Association has now been arranged to take place on Sunday, 21st July at the Kings Heath Cricket Club. Members for whom we have an email address will receive our Spring Newsletter in the next day or two. Please make sure that we have your email address - and if you've changed your email provider please tell us . . . Attendance at our Annual Reunions is only available to subscribing members. The annual subscription of £17.50 is payable in advance by standing order. Membership entitles the member to receive newsletters, attend our Annual Reunion and Exhibition of works by former students (usually on the third Sunday in May each year) including a super lunch for yourself and one other accompanying you, and to vote on resolutions at the AGM held on the same day. If you attended Moseley School of Art and would like to attend our reunion, please download and print the Standing Order mandate HERE and forward it without delay as the first payment for 2019-20 is due on the 1st. May. The first payment will entitle members to admission to our 2019 Annual Reunion. If you are in any doubt as to whether you have a valid subscription, just forward a new standing order form - any existing order will be automatically cancelled. You can also check by dropping us an email via the link above. We're very sorry to announce that we won't be proceeding with our planned 2019 Moseley School of Art Association Venice Reunion. Of those who were intending to join us, all but two (and we must apologise to them for the disappointment) have withdrawn. We heard about the latest cancellation last weekend. As you'll know, we've visited Venice every year except one for the last 14 years, staying at the same hotel each time. We have had an excellent relationship with the management so it was very surprising to hear that the hotel has changed hands and the tariff has virtually doubled. Apart from this, the main reasons given by our friends are the low £ : Euro exchange rate, uncertainty re Brexit, EHIC health cards, customs, and the general increased cost compared with previous trips. The biggest problem is, we're sure, Brexit and the unpredictable after-effects - there is just so much uncertainty. It seems that few Brits are going to Venice and other European destinations this year. This is why the airline FlyBe went into liquidation and travel experts are cautioning that other small airlines are likely to join them. Our airline has few bookings on our flight – it was nearly full by this time last year. Wendy has convinced me that it would be better for us, like most of the people we know, to holiday in the UK this year, so it's Pembrokeshire and the Lake District for us . . .
We'll be going to Venice again for sure . . . it's too beautiful not to, and it's become a second home for us. It's likely that we'll hire one of the large self catering apartments we know of in the same location as the Hotel Sant'Elena - ideal for getting some artwork done while we're there, and quite economical too. We are sad to announce that John Stevens, who attended our school between 1951-54 has passed away following a long period spent suffering from Parkinson's Disease. John was a very affable man and an enthusiastic member of the Moseley School of Art Association, being for many years the Association Rep for the leavers of 1954. We thank Brian Ashby, a friend and also a former pupil of John for letting us know. HAPPY NEW YEAR TO ALL OUR MEMBERS! PLEASE MAKE SURE THAT WE HAVE YOUR CURRENT EMAIL ADDRESS - Just drop us an email so that we can continue to keep in touch! 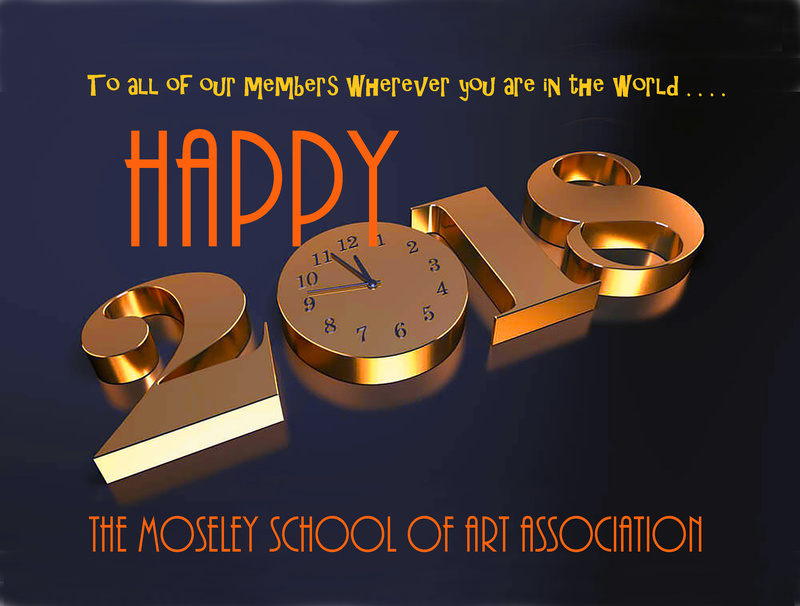 2019 Moseley School of Art Association Reunion & Exhibition We'll be sending out our New Year Newsletter to all of our subscribing members shortly with a number of updates, including details of our 2019 Moseley School of Art Association Reunion & Exhibitionon Sunday, 19th. May. The date for our 2019 MSA Venice Reunion Party has now been fixed! Our dinner party will take place at La Sala Pompeiiana, Hotel Sant'Elena on the 2nd. July 2019. The Jet2 Airlines Moseley Art Special will leave Birmingham Airport at 7am on the 1st. July, arriving at Venice Marco Polo at 10.30am. You can join us by arranging your own flight date, but those flying with us will be able to avoid all the guesswork and join us by arriving in style with a 40-minute trip across the famous lagoon by open air water taxi. The airline has flights on Mondays and Fridays, so you can personally tailor your length of trip to suit yourself. Most of the people who joined us last time felt that they wanted to stay longer than just a few days to explore this fabulously atmospheric city - brimful of art treasures, wonderful architecture, magnificent food and of course the unique Grand Canal and its beautiful canal network. This really is a fabulous experience - most of those who've joined us have said they would like to join us again this year. 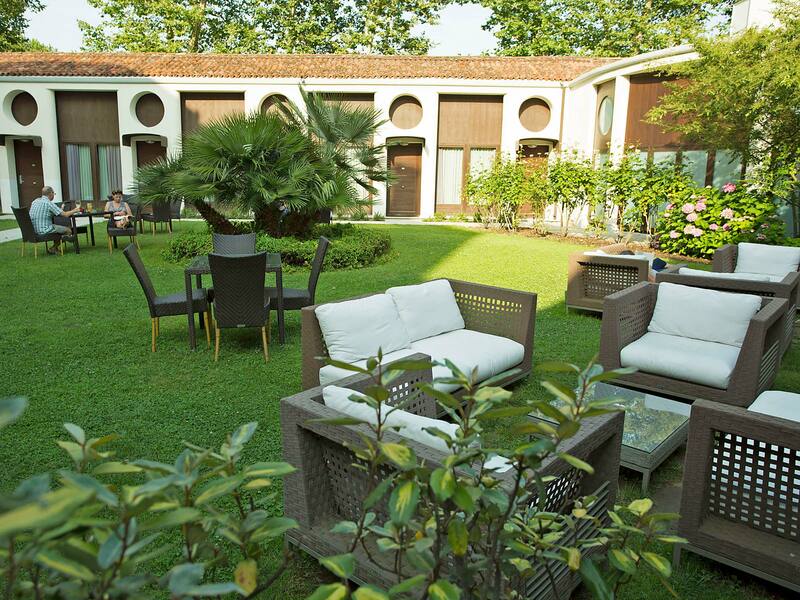 We'll be staying at the 4* Hotel Sant'Elena again and enjoying the consistently excellent standard we enjoy every year. More details about discounted rates later - please let us know by Emailing us as soon as possible if you're interested as the more that go, the better the deal we can negotiate at the hotel! 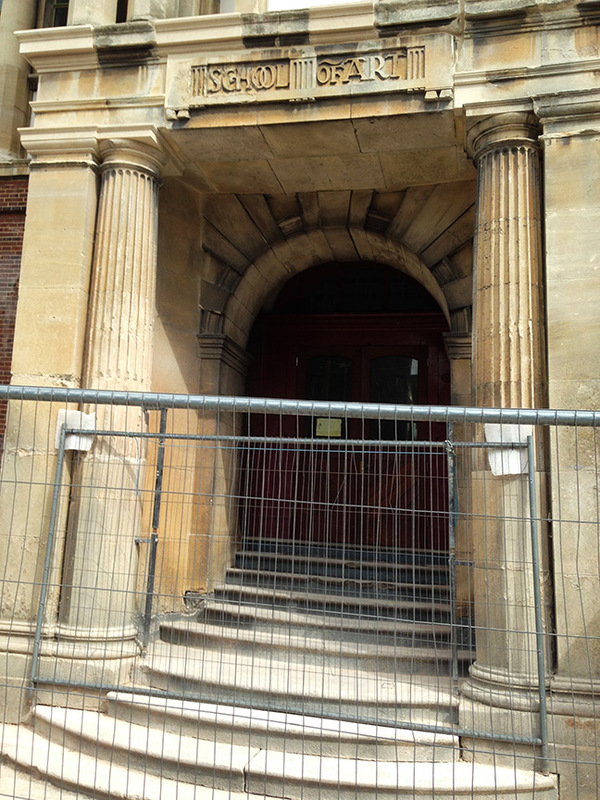 FIFTEEN YEARS after our Association obtained a grant in principle for the owners from the Heritage Lottery Fund, some progress is at last being made. Our thanks to Elaine Richards (Emery) for letting us have these photos taken last week. Michael's funeral took place at 11am on Monday, 16th. July at the Church of Our Lady of Perpetual Succour, Leach Green Lane, Rednal, Birmingham B45 9BQ . The service was followed by a service at Lodge Hill Cemetery and Crematorium, Weoley Park Rd, Birmingham B29 5AA. The funeral was followed by a reception at Hill's Court Hotel, Rose Hill, Rednal, Birmingham B45 8RS to which former students of MSA were welcome. The Church Service was attended by approximately 150 people, and the eulogy was given by Michael's daughter. Michael's family invited those who attended to accept packets of wild flower seeds which they hoped will be planted not only to beautify the countryside, but to assist the butterflies and bees. Michael, who attended our school between 1946-49 passed away following his very long and incredibly brave fight with Leukaemia and associated complications, having previously won his battle with cancer. Michael was a very committed member of the Association and was the Year Representative for the leavers of 1949. A very honourable and popular man, Michael was a highly talented painter and published author, exhibiting many of his excellent paintings (and winning many prizes) at our annual reunions and exhibitions. We were all delighted to see Michael attend our Annual Reunion & Exhibition only a few weeks ago on the 20th. May despite having been very poorly and only recently having had a leg amputated due to an aggressive virus. 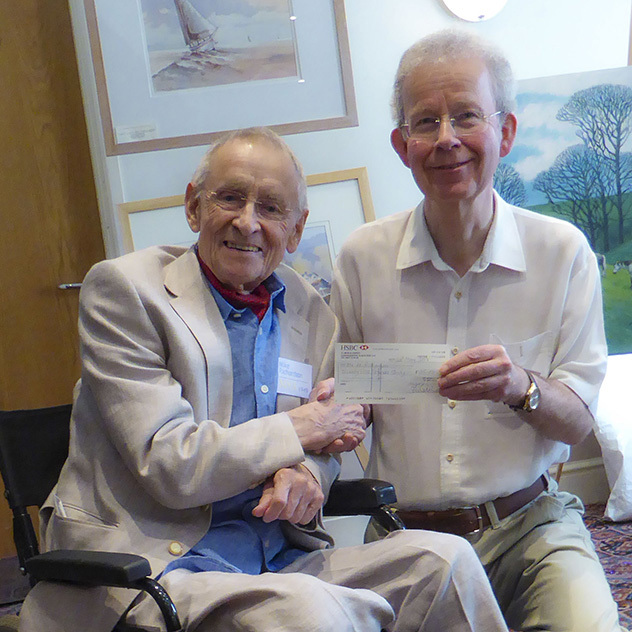 Michael is pictured here receiving his prize cheque from Paul Bartlett ('73) for his work 'Withybed Green'. We offer our sincere condolences to Michael's widow, Anny and family. In the fifteen years since the Association was created, we've had many members who have epitomised the spirit of the Association, but none have characterised that spirit better than Michael, who will be greatly missed by our members. Please park at the main car park and walk up to the house - unless you have a 'disabled' badge in which case drive up over the bridge to the house, where there are a limited number of reserved parking spaces. There are occasional shuttle links from the car park to the house, and it's also possible to drop people off at the gallery before parking your car. We'll meet in the cafe at 10.30 for coffee before enjoying our welcome at 11.15 and one-hour tour of the collection. This will be followed by lunch and access to the beautiful grounds. 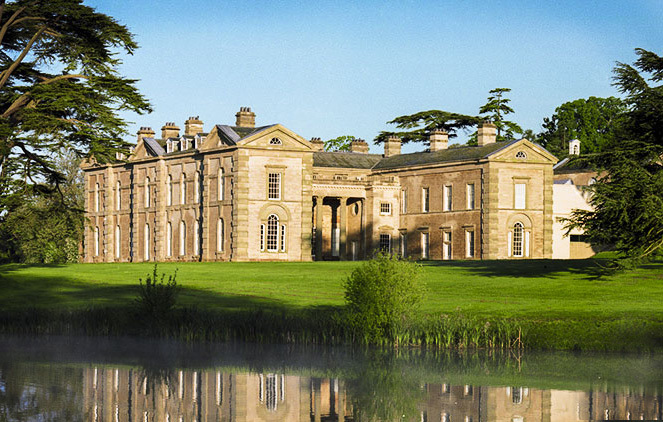 We've now confirmed with the management of Compton Verney - our special day with Bob Ashby and his wife Joy at this fabulous historic manor house will be Wednesday 11th. July. It's now time for all members who have expressed an interest to confirm their wish to attend and forward their payment to us - payment must reach us by the 25th. June as Compton Verney require full payment two weeks in advance of the date of our visit. Our members enjoyed a great day under a cloudless blue sky at our 16th Annual Reunion. Our numbers were reduced by the substantial number of confirmed attendees who chose to enjoy the beautiful weather elsewhere - but as usual everyone left tired and happy by the re-telling of memories of our special old school, its teachers and students. 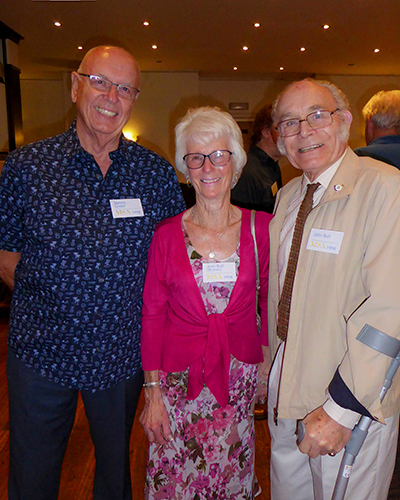 Among those who attended was first-timer Phillip Dutton-White ('66), who travelled specially from southern Spain.... We were also delighted to greet Dennis Green ('58) who arrived from Perth, Australia, Judi Wainwright ('66) from Northern Ireland and Marshall Jones ('66) from Holland. Many others from the four corners of the UK also travelled distances to be with their friends. A new specially-made 25-minute DVD was shown by projector which contained hundreds of previously unseen photographs, some dating back to 1902. The video was enjoyed to the extent that many members watched it through several times. A huge roar of good-humoured 'boos' went up when a photograph of Miss 'Ma' Squires appeared. The video also covered many but not all of the famous former students who attended MSA. We were delighted by the number who have stated that they will definitely be joining us for our Venice Reunion next year (June 2019). A more detailed account of the meeting and exhibition - with images - will follow shortly. Please also see the news item below - an invitation for members to join us for a super day out at Compton Verney with highly popular former teacher Bob Ashby. 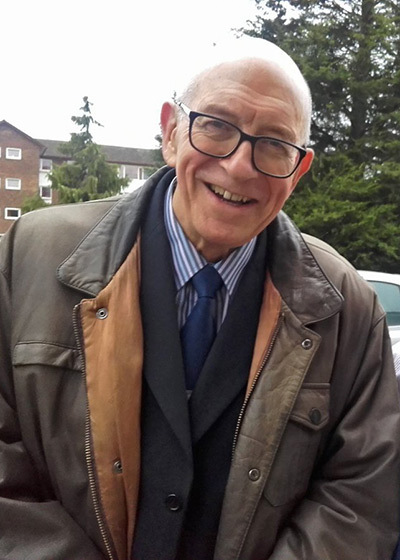 As mentioned at our Annual Reunion last Sunday, our very popular former teacher Bob Ashby is now feeling a little too creaky to travel to our reunions and asked that his love and best wishes be passed on to everyone who attended. Graeme had spoken to him the previous day and Bob was delighted with Graeme's suggestion of meeting up with any interested members at Compton Verney, near Wellesbourne, Warwickshire, close to where Bob lives. The idea was discussed at the Reunion, and seemed to be very well received. A month's notice has to be given for group visits, so planning needs to be finalised quickly if we are to arrange the visit before the school holidays. PLEASE LET US KNOW (without obligation) BY SUNDAY 21st. May EVENING if you would be interested - a definite date hasn't been arranged yet but is likely to be either the 9th, 10th or 11th July. COMPTON VERNEY is a beautiful, fully restored stately home filled with galleries of fine works of art, situated in lovely grounds and lakes. Easy access is provided throughout. Our visit will begin at 10.45am. There will be a welcome talk and guided tour arranged for our group, and lunch would be taken at 12.30 in the Adam Hall, followed by free time to explore the grounds or the gallery. There will be a discount for party members in the shop, and we will depart at 4pm. COST: Approx £10 pp to include admission, free parking, welcome talk, tour of collection, access to grounds. Lunch available from menu selection including sandwiches, soup and full meals at reasonable prices (please see menu via link below) with a nice meal of the day costing £11. TRANSPORT Individual or shared transport. If the numbers warrant it, a coach may be considered from a central Birmingham location at extra cost. Free parking. ACCESS FOR DISABLED is provided throughout. PAYMENT will be required in advance once the date has been decided. WHAT TO DO NOW - if you're interested in what will be a super day out, please check whether you're available on the 9th, 10th and 11th July and let us know that you're interested (WITHOUT OBLIGATION) - either reply to this post, message us or email us AS SOON AS POSSIBLE. Please ask all your ex-MSA friends to join us! Our reunions are always well attended, and you'll receive a very warm welcome, regardless of the years you attended. Your husband, wife or partner will be welcome. Members are travelling from Australia, Spain, Ireland and other parts of Europe - let's make sure that as many as possible of their friends are there to meet them. We're aiming to make this reunion special and the higher the attendance, the greater the enjoyment. Please sign up to our Update Notification (below) so that you don't miss out on news from our website - you can also LIKE us on Facebook. As usual, there will be cash prizes of up to £200 for the works displayed which are, in the opinion of the judges, the best on the day. Please feel free to bring your own works - we'd love to see them and there are no fees to enter. Please make sure that any entries you bring haven't been exhibited with us before. There are no categories, so you can bring whatever you want - paintings, drawings, sculptures, embroidery, calligraphy, ceramics, illustrations, prints, other crafts . . . we'd love to see what you've made. Please remember to bring cards to show the name of the artist, the name of the work, and the price, if offered for sale. You'll also need to bring the means to display your work - an easel, tabletop easel etc. There will be a limited number of tables available which will be reserved for three-dimensional works. Above all - PLEASE LET US KNOW if you're coming - we need your name and year of leaving MSA for your security badge - AND the name of anyone accompanying you! We thought our members would wish to know that Michael, who attended our school between 1945-49 and has been a stalwart of the Association since its foundation in 2003 is in hospital again. Michael has endured serious illnesses over the last few years and has had, through his indomitability recovered from each. He was recently diagnosed as having a rare form of Lukaemia and has been subjected to a course of experimental treatment, which has just ended. We were desperately sorry to hear that Michael contracted an infection in his leg which has resulted in the necessity to remove his leg below the knee. The surgeons now feel that they have managed to halt any further risk from the infection, and Michael is, typically, quite stoic about his latest encounter with ill health. We wish Michael (pictured right) a speedy recovery and send our best wishes to his wife Anny and family. We are very sad to announce that former student Professor PETER JAMES ('Tank') WADDINGTON, who attended the Moseley School of Art between 1960-63 passed away on Wednesday 21st. March 2018 following a long illness. We have no further details at the moment. Peter was part of the MSc in Policing and Law Enforcement Academic team. He has been the Professor of Social Policy at The University of Wolverhampton, since 1st. October 2006. 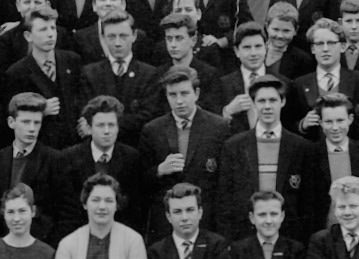 Peter is pictured in the school photo of 1962 (below, centre) and (right) in 2015. We are very sad to announce that former student BILL PADDEN, who attended the Moseley School of Art between 1959-62 has passed away following a long illness. We have no further details at the moment, but will post information as we receive it. 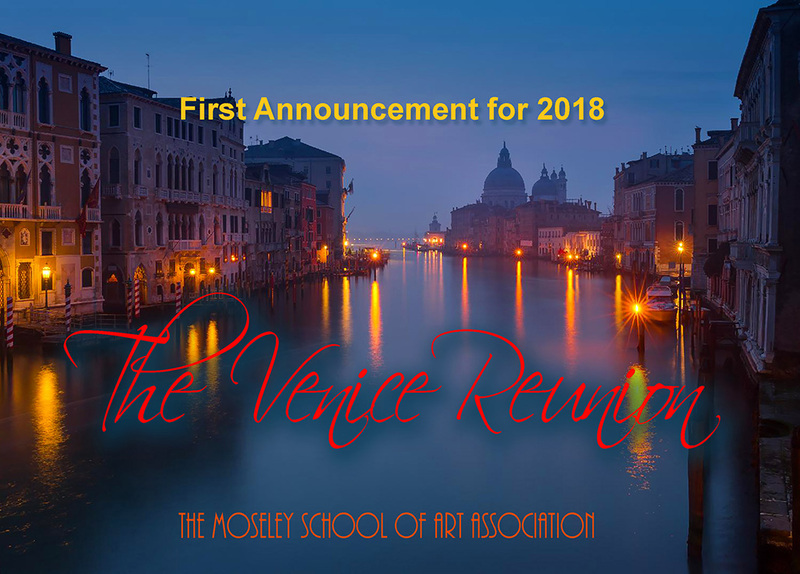 FIRST ANNOUNCEMENT FOR OUR 2018 VENICE REUNION- we're planning our 2018 Venice Reunion for Moseley School of Art Association members and would like, in the first instance, to gauge the likely uptake of places so that we can negotiate the best discount rate for our hotel. We haven't finalised the dates yet, although the trip will definitely take place during the 10 days which will include the 4th. July. It'll be possible to join us for between 3 days (minimum) and 10 days. We haven't negotiated the final price for our hotel accommodation, but it'll definitely represent a bargain compared with other 4 Star hotels actually on the island. If you'd like to come, or would like further details, please contact us NOW so that we can carry out the necessay negotiations and make final arrangements. Please don't leave it til later - CONTACT US HERE or via the email link above. See you in Venice? We're looking forward to welcoming our members to our 2018 Annual Reunion on Sunday 20th. May - further details will be posted here soon! "The One Thay Got Away" by former student Eileen Huckett - OUT NOW! 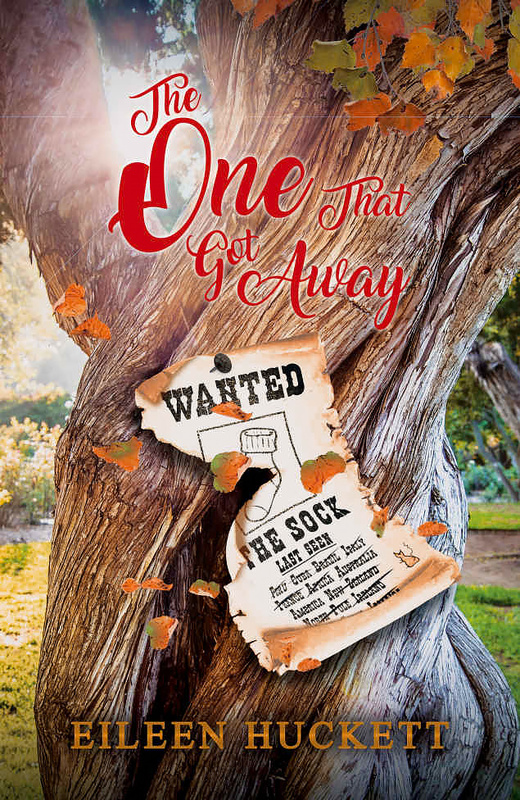 We're delighted to announce that former student Eileen Huckett has hyad her first book "The One That Got Away" published worldwide. It's quite an achievement for an unpublished author to find a publisher for their first book, so our congratulations go to Eileen, who now lives in Perth, Western Australia. "Her book is a tale that has never been told before. It unravels the mystery of that one sock we all have that unfathomably goes missing. It is an adventure that travels the world and beyond, creating mystery and intrigue, littered with vanity and greed, and encountering quirky characters along the way. At first, the sock creates havoc, mayhem and embarrassment and damages precious reputations of the self-important. The sock becomes Public Enemy No. 1, and a bounty is put on its sole. A turn of fate sees the sock redeem itself and become revered, even by those it unwittingly crossed. It is soon hailed as a super hero by almost all. The sock is elected as President of the United States of America. However, skulduggery simmers in the background. A humorous yarn full of unexpected twists, morality, karma and a good few laugh-out-loud moments". Eileen's book is available on Amazon in Kindle, Hardback and Paperback formats and at all good booksellers everywhere. We have been informed by Ken's younger cousin, Brian that the funeral will take place at 2.30pm on Monday, 9th. October 2017 at Lodge Hill Crematorium. Attendance is welcome, as are flowers. There will be no reception following the service. If anyone would like to arrange flowers, they should be with the funeral directors - Ambler Brothers, 350 Alcester Road, Moseley, Birmingham B13 8LJ Tel: 0121 314 3965. (All floral tributes to be with them before 11am on Monday). A floral tribute from the Moseley School of Art Association has been arranged, but unfortunately, on this occasion Graeme won't be able to attend. Mark Ashby, Ken's son, has provided us with a brief obituary which we'll upload here shortly. An Exhibition of works by the late David Prentice, a former pupil of the Moseley School of Art is to be held at the John Davies Gallery, Moreton in Marsh between 7 October and 4th. November 2017. We are extremely sad to announce that that George (Ken) Ashby, a former pupil of the school from 1936-39 died as a result of a fire at his home in Kings Heath, Birmingham on Wednesday 13th. September 2017. Neighbours attempted to assist Ken, 92 years old to rescue his wife, 91 from the first floor of their home, but were beaten back by the fire. Ken's wife was rescued by the Fire Service and was taken to hospital for treatment for heat and smoke inhalation but Ken, sadly was pronounced dead at the scene. The West Midlands Fire Service, who attended the incident within 3 minutes of the first call, have stated that they believe the fire started accidentally in the kitchen. Fire investigation officers found that the tragedy may have been averted but the smoke detectors which were fitted had not been provided with batteries. We're grateful to Brian Ashby, Ken's cousin and also a former pupil of MSA between 1951-54 for informing us of this tragic news. Information regarding funeral arrangements will be uploaded when received. An Exhibition of works by the late David Prentice, a former pupil of the Moseley School of Art is to be held at the John Davies Gallery, Moreton in Marsh between 24th. June - 26th. August 2017. We are very sad to announce the death of one of the Moseley School of Art’s most famous former pupils, Frank Shipway who, after leaving MSA went on to become a world-famous conductor and Professor of Music. Frank was born in Birmingham and attended our school from 1948-51. He had a prodigious talent for music, playing the piano from an early age, and played the piano at our school during assembly. He later earned a place at the Royal College of Music to study piano, but later changed his studies toward conducting. 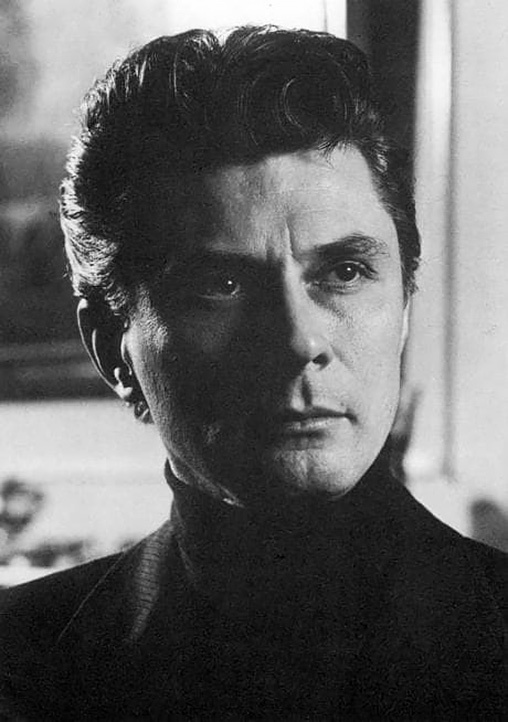 He was reputed to have received training from Sir John Barbirolli, and to have been assisted by Herbert von Karajan before his first major appointment with the Berlin Opera in 1973. He went on to conduct many of the world’s most famous orchestras, including the Cleveland Orchestra, La Scala Theatre Orchestra, and the Royal Stockholm, Helsinki and Moscow Philharmonic Orchestras. He also worked with the Glyndebourne Festival Opera and the English National Opera. As well as conducting, Frank provided master classes and served on the juries of a number of international conducting competitions. We were pleased to meet him when he attended the 2003 Moseley School of Art Association Reunion. Frank had always loved fast cars, and died following a collision with another car while driving his Jaguar XJ8 on the 6th. August 2014 at Wedhampton, near his home at Devizes, Wiltshire. The driver of the other vehicle suffered minor injuries. Frank had moved to Wiltshire in 2009, having lived at Malvern, Worcestershire for many years. He leaves his widow, Carmen, his daughter and stepdaughter. As members of the Association will remember, the decision was taken at our 2016 Reunion to dissolve the Association. Due to the large number of messages asking us to reconsider, we're happy to announce that we're happy to continue, given the large amount of support for the decision. In order to streamline our admission, attendance at our Annual Reunions will only be available to subscribing members - those who pay the annual subscription of £17.50 in advance by standing order. Membership entitles the member to receive newsletters, attend our Annual Reunion and Exhibition of works by former students on the third Sunday in May each year (this year on the 21st. May) including a super lunch for yourself and one other accompanying you, and to vote on resolutions at the AGM held on the same day. If you attended Moseley School of Art and would like to attend our reunion, please download and print the Standing Order mandate HERE and forward it without delay as it will not be possible to pay on the day. The first payment will entitle members to admission to our 2017 Annual Reunion. If you are in any doubt as to whether you have a valid subscription, just forward a new standing order form - any existing order will be automatically cancelled. Our 2017 Reunion and Exhibition will be held on Sunday, 21st. May 2017. The venue will be the same as last year - Kings Heath Cricket Club, 247 Alcester Road South, Kings Heath, Birmingham B14 6DT. We had a large number of compliments about the venue last year, with members particularly liking the quality of the food, the exhibition space, the availability of a bar and the abundance of parking space close to the entrance. We hope to see as many former pupils as possible from the 1930's, 1940's, 1950's, 1960's and 1970's for a warm, happy and meaningful reunion. Our reunions are very well attended, and you'll receive a very warm welcome. - please tell all of your MSA friends and ask them to join you. Your husband, wife or partner will be welcome. We're aiming to make this reunion special and the higher the attendance, the greater the enjoyment. Please sign up to our Update Notification (below) so that you don't miss out on news from our website. Following the funeral of former teacher and headmaster Jack "Butch" Taylor on the 9th. February, we have invited Hilary and Martin, his children, to join us for the day. We're also aiming to produce an automated continuous-play slideshow of hundreds of photos of the school, teaching staff and pupils. If you have any photos you'd like included, please forward them to the email address at the top of this page. In the meantime, why not start preparing a work or two to enter in our open exhibition? Any medium, any number as long as it's not a work previously exhibited. No entry fee, just bring a means of displaying the work(s) e.g. easel etc. Cash prizes will be awarded for the best works, and you can, of course offer your works for sale. We're always anxious to find 'new' contacts - if you haven't yet been in touch with us, or if you know someone else who attended our school, wherever they now live, please drop us a line at the link at the top of this page. We've established a worldwide network of former students and would like to add more - they aren't making any more of us! Our 2016 Venice Reunion was a great success, and most of those who joined us have already booked to join us again in 2017. * The length of your stay can be extended by up to seven days at the same daily rate - you decide how many nights you'd like to stay. The Hotel Sant'Elena Last year (2016), our rate at the Hotel Sant'Elena was 500 Euro per double room for the 3 days. For 2017, we've secured an offer for the 3 days of 555 Euro per room. The hotel has raised their nightly rate by 12% across the board, but our rate of 555 Euro is still a very good saving on the lowest quoted rate elsewhere of 700 Euro. Our Reunion Dinner will take place on the 30th. June - we'll enjoy a beautiful, sophisticated Italian dinner for which there will be a charge of approx. 38 Euro pp. These prices can only be guaranteed for a fixed term after which the normal commercial rates will apply. Anyone wishing to stay for longer than the basic 3-day stay can calculate the fee for their stay by using a rate of 185 Euro per night (De Luxe Double) or 215 Euro (Junior Suite - best value). A reminder that this rate is per room for two persons, not per person, and includes an unlimited breakfast each day. These are GREAT prices - you could easily pay double or more at a comparable hotel on the island - there are many hotels in the Veneto region at a comparable rate, but the Sant'Elena is actually on the island of Venice, saving you valuable time and energy travelling to the island and back each day. To book: Go to http://www.hotelsantelena.com/en and enter dates/ number of people. Enter discount code MOSELEY on the next page. The discount is only available for a limited time - please book as soon as possible - and don't forget to let us know that you've booked! Fed up not knowing if something new has been added to this website? Setting this up takes only a minute or two, and once set up you'll receive an email notifying you every time this webpage is updated. You can, of course, enter as many webpages to their service as you want, from this or any other website. We are sad to announce that Philip Galley, who attended the Moseley School of Art between 1958-61 has passed away following a battle with lung cancer. His widow, Pam informs us that it has been a bad time for their family. Pam intends to remain in Kenya, where their eldest son has married and made his home too. She asks us to let old friends from his school days know about his passing. Philip was a very talented pupil at MSA and later studied Fine Art and Lithography at the Plymouth College of Art and Design. He later worked as a graphic artist which took him to East and West Africa where he became captivated by the wildlife in the numerous game parks which led to him becoming a successful wildlife artist. His work has sold at Christie's and he has assembled a body of work with his son, Alexander known as the Leo Collection. We are sad to announce that Tony Donnelly, who left our school in 1975 passed away on the 29th. March 2017 following a long illness. We have received the following details from Tony's daughter, Sophie. "Our dearest and best friend Tony Donnelly passed away last week as many of you are aware. The funeral will take place on Wednesday 26th April at 12:00. The service will be held at the Heart of England Crematorium Eastborough Way, Nuneaton CV11 6WZ. After the service we will celebrate Tony's fun filled life at The Red Lion, Burbage. Tony requested no flowers but donations to Macmillan Cancer Trust would be much appreciated on his behalf". The funeral took place on Thursday, 9th. February 2017 of our highly respected former MSA teacher and Headmaster Mr. Jack "Butch" Taylor. The first part of the funeral took place at the Robin Hood Crematorium, Birmingham. At the end of the service, our late Headmaster was committed for cremation. The second part of the funeral then took place at 11am by a service of thanksgiving and celebration at Solihull Methodist Church, where Mr. Taylor was a regular worshipper. The service, which was well attended, was conducted by Rev. 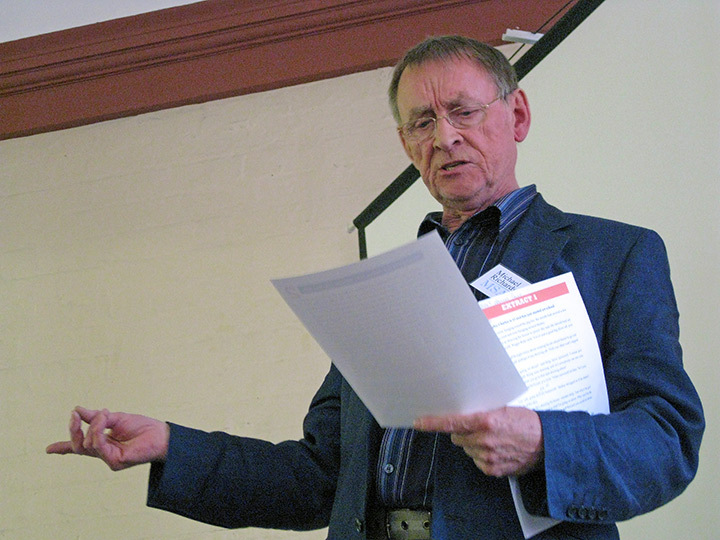 Kenneth Howcroft, and the eulogy was provided by Jack's son, Martin. He read aloud many of the messages of condolence from our book of condolences (below - if you'd like to add your message, please submit via the email link above). The most appreciated message was that of Nick Ajao: "A real gentleman and always very pleasant. It was great to have met him at one of the MSAA reunions a few years ago. I have worked in a few secondary schools with a number of so called "Super Heads" but l can't think of any of them who have half of the qualities that Mr. Taylor had. Top man, lucky to have had him as a Head". A good number of former MSA students were present to mark the passing of our former teacher and headmaster, all from the 1950's and 1960's. A significant number of the leavers of 1957 attended, thanks to the organisation of Graham Williams, their year rep. We all appreciated the opportunity to mark the passing of a memorable figure from our time at the Moseley School of Art. The service was supplemented by a projected 'slideshow' of images from Mr. Taylor's life, from his birth through to his later life, including a number of images provided by our Association. The congregation was surprised by some of the revelations about our former teacher. Born in Chorley, Lancashire, he was educated at a private boarding school in Yorkshire, where he learned such skills as opening a can of beans and eating them, cold, with a ruler - in the dark! Apparently, far from being the rather aloof character we knew, Jack was a keen jazz guitarist a la Django Reinhardt, regularly playing with friends, and was a keen sportsman, playing several sports including badminton, cricket, lacrosse, tennis and bowls. He was, together with his wife, very sociable and enjoyed a large social circle. He was a committed Christian and attended Acocks Green Methodist Church for many years before becoming 'part of the furniture' at Solihull Methodist Church, where he was very highly regarded. Mr. Taylor's wife passed away in 2010. He suffered from Parkinson's Disease during his final years, but managed the symptoms of the disease, maintaining his family, church and social commitments very well until his passing. Mr. Taylor leaves his son, Martin, his daughter, Hilary and grandchildren. I just wanted to write again to say how great it was to see you and so many of Dad’s ex-pupils yesterday. It was lovely to be able to share the celebration of Dad’s life with so many people. Thanks to you for arranging all of that. People were incredibly generous to spare the time to attend and also to donate just over £620 that will be sent to Parkinson’s UK. A fantastic amount to send in memory of Dad. We have received a number of messages from those who won't be able to join us at Mr. Taylor's funeral service. We thought it proper that we should upload these messages so that they may be seen by Mr. Taylor's family and friends, together with our own members. If you are a former student of our school and were taught by Mr. Taylor, whether or not you will be attending, please feel free to forward your message via the email link above. "Graeme sums up my memory of Jack Taylor very well i.e. as “friendly and authoritative.” He was Headmaster during my time at MSA, which unfortunately meant that we missed out on his teaching. On one occasion, however, when he filled in for an absent tutor, he instantly spotted where improvements could be made with drawing the ellipse in a saucepan still life. Although Headmaster, he was in no way distant, and took a keen interest in what we were all doing with our art work. During the summer holiday before starting as direct entry on a fine art degree course, I produced what was for me a key work. It was my way of coming to terms with completing my seven years at MSA. The end of an epoch. This is a lino print called “Headmaster’ inspired by part of a school photograph - the Headmaster, of course, being Jack Taylor. When exhibited in ‘Midland Printmakers’ exhibitions, it was reproduced and favorably written about in newspaper reviews. "A memorable teacher, Mr. Taylor had a natural air of authority while being a very approachable person. He was inspirational and dedicated, readily earning the respect of his students. Thank you, "Butch". My sympathy to his family". Richard Mobley (1959). "My clearest memory of Mr. Taylor is him coming into an art lesson to ask Mr. John Swift something and John hastily hiding his cigarette behind his back. I don't think Jack was fooled for a second. Nobody would get away with that these days. I also recall my mother being surprised that Jack had remembered some small detail about her life which she had told him in passing months previously. He must have met so many parents yet he remembered small things about people that gave so much pleasure. Mum would also have been 94 this year if she was still alive". Elaine Emery (Richards) (1974) Birmingham. "Saddened by the news of his passing as I really wanted to meet him again someday to thank him for being such a fair and patient headmaster especially when dealing with some pupils who were not as focussed on learning and discipline. He demonstrated his technical drawing skills to us one day, to be honest I was blown away at how effortless and precise his example was and it certainly made me want to produce better work as a result. RIP Mr Taylor. It was a true honour to have known you". Wayne Barratt (1972) Toronto, Canada. "It's been 55 years since I saw Mr. Taylor, but I can still see him quite clearly; feel his vibe. He was, simply put, a good man in the deepest sense of the term. He and Harry (Adams), well, I hold IOUs for them both that I will never be able to repay - Stan too, "Dickie" Davies, Bill Davies and of course, Miss Squires. That same old nuclear doom threat that used to hang over us in the 1950s has returned with the idiocy of Trump, sharpening recall of those three powerful years at MSA. I can't find words to express my gratitude for all it gave to me. If Mr. Taylor's drawing talent comes up at the wake please mention to whomever that I was/am a genuine fan". Jim Fitzjames (1961) Santa Monica, California. "Sad news indeed. A great man. He had the ability to treat students as if they alone were the only one he was interested in. He certainly helped and taught me well". Dennis Green (1958) Perth, Western Australia. 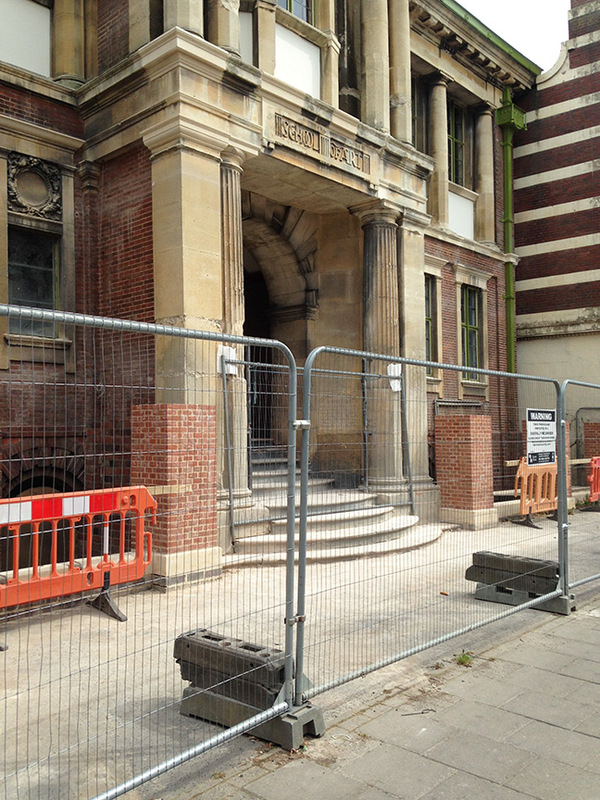 "It's sad to hear of another death from the teaching staff of Moseley Art. I recall Mr Jack Taylor as being one of the more able staff members at keeping a modicum of control over some of the madcaps who were attending the school while I was there. He was greatly liked and respected by students and other staff alike. "Rest in peace Jack". Colin Cole (1961) Perth, Western Australia. "Dear Graeme, thank you for informing me of Mr (Jack) Taylor's passing. Incredible to think he reached such a grand age. Marjorie Yates (1957) Stratford upon Avon, UK. "I liked him and will always remember him. My condolences to Family & Friends. ". Christine Saville (1968) Bristol, UK. "So sorry to hear of Mr. Taylor's passing. He was a big influence in the choices I made in life. 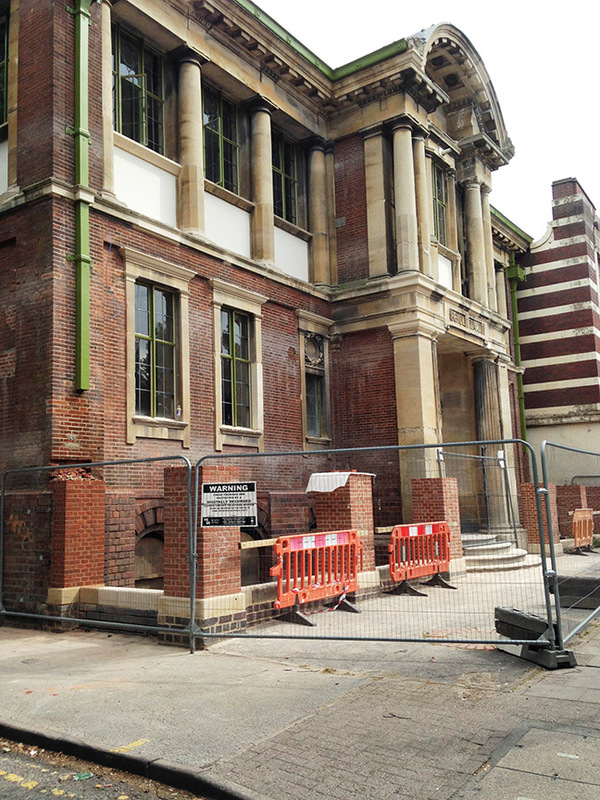 Both my wife Liz and I were pupils at the school in the '60s and will attend the funeral to pay our respects". Keith and Liz Grady. If any former pupil would like to enter a comment in our Book of Condolences, please forward your submission via the email link above. It is with great sorrow that we have to announce that Mr. John (Jack) Taylor passed away on the 12th. January at the age of 94. The vast majority of former students of our school alive today worldwide will have been taught by Mr. Taylor and will be greatly saddened to hear of his passing. 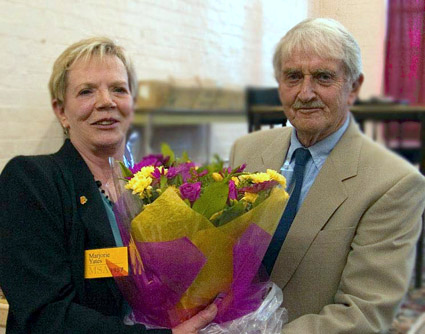 Jack is pictured here with Marjorie Yates at our 2007 Reunion. Jack, also known to students as "Butch" was a very highly respected teacher, Deputy Head and Headmaster during his time at Moseley. He commenced his career at Moseley in 1951 as a general art teacher with special interest in Illustration and Printmaking. He once said that he realised he was at a very unusual institution when, on his first day at the school, being designated to take the boys for Sports, he asked the head, Mr. C. "Harry" Adams what he should do as it was raining heavily. Mr. Adams replied that he should take them to the nearby cinema and tore off forty tickets from a roll hanging near his desk! Mr. Taylor was a very competent artist in his own right, and fascinated students with his demonstrations of drawing, even on a blackboard. He became Deputy Head in 1961, replacing Mr. Elwyn "Dickie" Davies, who had been promoted to Headmaster. He continued as Deputy Head under Mr. Bill "Washington" Davies when he was appointed Head in 1964, and became Headmaster between 1968 - 1975, leaving to become Headmaster of Lordswood School until his retirement. Living in later life in Solihull, Jack attended some of our Annual Reunions at the old school, amazing everyone with his ability to remember, in detail, former pupils who he had taught 40, 50 and even 60 years before. The funeral will take place at 10am on Thursday, 9th. February at the Robin Hood Crematorium, Streetsbrook Rd, Shirley, Solihull B90 3NL. The short service will be followed at 11am by a service of thanksgiving and celebration at Solihull Methodist Church, Blossomfield Road, Solihull B91 1LG. Should the car park be full, parking is available at the Tudor Grange Leisure Centre on Blossomfield Road. Parking here is free for the first three hours but you are required to take a ticket. Jack is survived by his daughter, Hilary and son, Martin who have asked if anyone has photographs of their father (other than the annual school photo) that they can let them have as they are planning to have a display following the funeral service. If you have any photos, please send them to us at the email link above so that we can pass them on. Mr. Taylor suffered from Parkinson's Disease for many years, and it is his family's wish that contributions in lieu of floral tributes be passed to Parkinson's UK. There will be a collection at the church. We hope that former students will take the opportunity to pay their respects to a man who was such an important part of our time at the Moseley School of Art by joining us at the funeral service. Mr. Bob Ashby will be among the former teachers who will attend. Refreshments will be provided for those who attend at the Church Hall. Hilary and Martin have asked that we let them know if former students wish to attend so that they can calculate quantities for refreshments, so it would be very helpful if former students who are going to attend could let us know so that we can pass on figures. It would be wonderful if there could be a good turnout of former pupils - maybe adjourn later to a local hostelry? The photo was taken in 1951 - Mr. Taylor's first year at our school. We are sad to announce, especially at this festive time of year that former student Reginald Webb, who attended MSA 1954-57 passed away on the 15th December. Our condolences go out to his family at this sad time. Further details regarding funeral arrangements will be posted here as they are received. 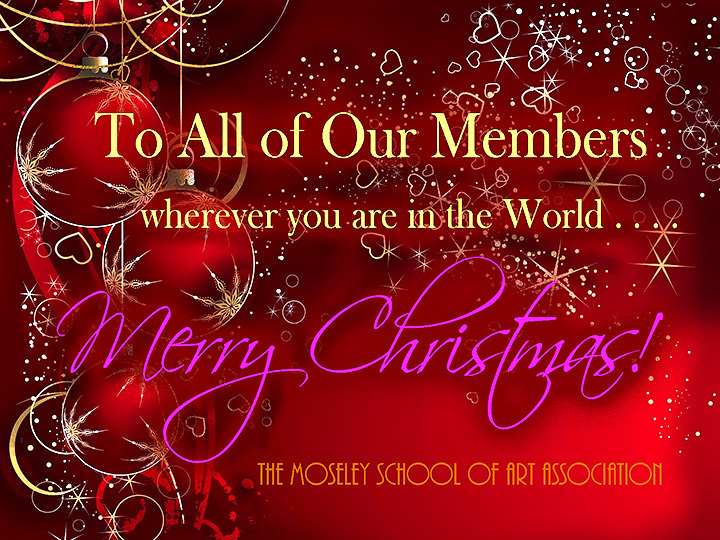 Former MSA student Brian Bailey and his wife Val have sent us their best wishes for a Merry Christmas and a Happy New Year. 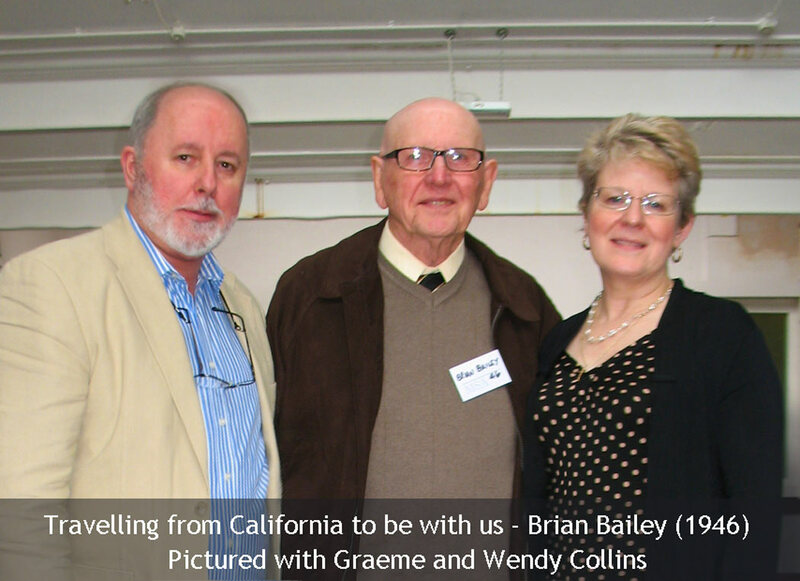 Brian and Val, who live in Los Osos, California have been very generous in recent years, sponsoring the Brian Bailey cash prize for our annual exhibitions - a gesture for which we're very appreciative and grateful. A lovely couple, they haven't enjoyed the best of health during 2016 so I'm sure that you'll want to wish them a happy and healthy New Year. Merry Christmas! It is with sadness that we have received news from his friends that Roy Seeley, who attended Moseley School of Art from 1946-49 has passed away. Roy's funeral will take place at 2pm on Thursday 22nd. December at the Robin Hood Crematorium, Solihull. We hope to receive further details before the event. photographer. 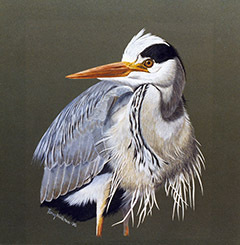 He was a member of Solihull Art Society and had exhibited his work there over the years. Roy was often very generous in sharing his artwork with others or giving others gifts of his work as a token of friendship, for example. He had a great appreciation for the beauty of buildings as well as the local area and scenery, especially features of the towns and villages of Warwickshire which were reflected in his work. During last year, Roy supported a local Residential Home by donating some of his framed prints to a raffle in aid of the Alzheimer's Society. He had a number of creative interests, which included being a member of the Birmingham Midland Operatic Society. Roy was always very modest about his abilities but it seems that he enjoyed singing and dance very much. He also had a special way with cats and, over the years, a number of his Siamese cats lived well into older age. In retirement, Roy lived quietly, keeping his reflective nature and his own endearing brand of dry wit! Roy always spoke very fondly of his time at the Moseley School of Art, and his tutors, friends and fellow students there. 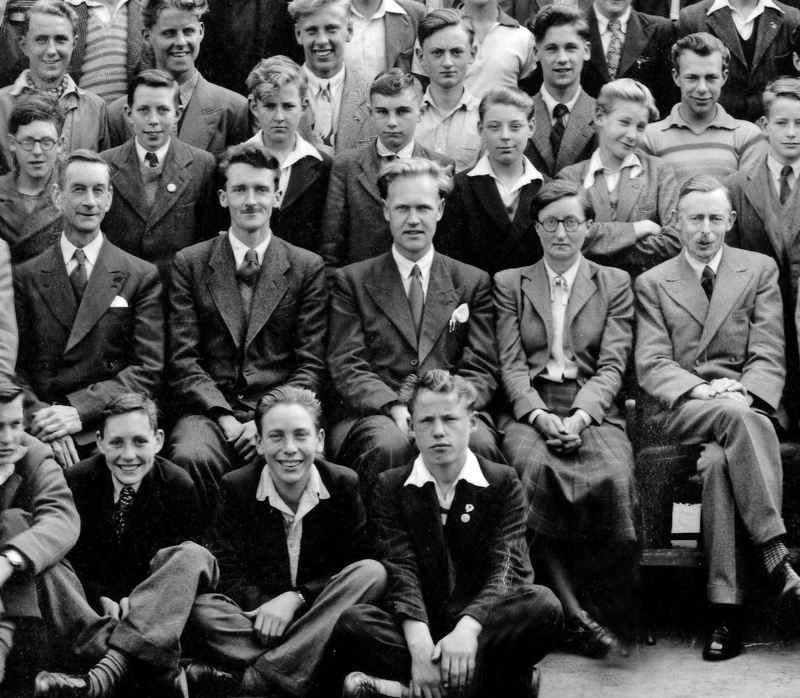 He kept photographs from his time at the school including a visual record of an outing to Elstree Film Studios with teachers and fellow students back in his final year at our school, 67 years ago. Further details about the funeral will be uploaded here as we receive them. We are very sad to announce that we've been informed by the representative of the 1957 leavers, Graham Willams, that former student Marguerite Tranter ('57) passed away peacefully on the 29th. October 2016 following a very short illness. Marguerite was a supporter of our Association reunions for a number of years. Marguerite's funeral will take place at 11am on Friday 18th. November at Lodge Hill Cemetery, Weoley Park Rd., Birmingham B29 5AA. Attendance by family and friends is welcome, flowers from family only. Donations in lieu of floral tributes are welcome and will be passed to the Air Ambulance and the QE Hospital. Please check here again for any further details which may be posted. Paul Bartlett, a prominent member of our Association, and other artists, many of them former students of the Moseley School of Art are taking part in an exhibition entitled "Baker to Bartlett: The Changing Face of RBSA Printmaking" - on at the RBSA until 12th. November 2016. A Reunion in New York! 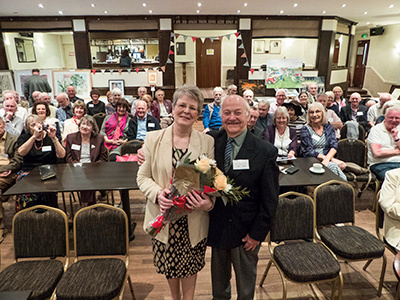 We were delighted to hear from former student Eileen Huckett (Weaver), who now lives 300km north of Perth, Western Australia, telling us about a very special reunion of friends who, last June organised their own Moseley School of Art Reunion in New York! 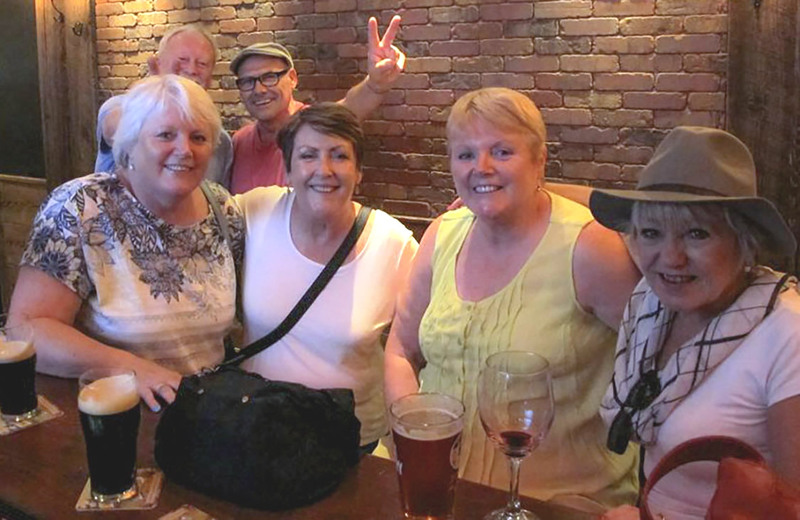 The four friends, who left MSA in 1972, hadn't seen each other for up to 39 years, and three of them had special birthdays while they were there - they all turned 60 years young, and the fourth had her birthday just a month later. The friends were Eileen Huckett, Eileen MacLean (Allen) who lives in Nova Scotia, Canada, and 'The Twins' Susan and Sandra (Riley) Mead, who live here in the UK. Eileen wrote: "Well! It was the best time ever! The twins (Sandra and Susan) and I had seen one another spasmodically over the years but Eileen and I hadn't met up since we were 21 ( which was - gulp - 39 years ago). It was unforgettable. It was if no time had elapsed at all. We had a huge laugh together - it could not have been more perfect. The twins and I celebrated our 60th (another gulp!) while we were there. We've all arranged to meet again in 5 years time, if we can wait that long!" It's fantastic to see that the spirit of our old school and the friendships formed there was celebrated by four old friends from three of the four corners of the world. We've been informed that it was Phil's wish that he didn't want a funeral so, in accordance with his wishes, his nearest and dearest are planning a party to celebrate his life instead. A provisional date has been set of Saturday, 16th July at his home in Leeds, Yorkshire. All will be welcome but the organisers will probably have to ask for confirmation of numbers wishing to attend a little nearer the date. More details will be posted to our Facebook page when they become available. Phil endured ill health for many years, and recently underwent a double lung transplant which appeared, initially, to have been very successful. Phil was cheerfully looking forward to a full recovery, but, unfortunately, luck didn't bring him that recovery and he passed away during the morning of Tuesday, 21st. June 2016. 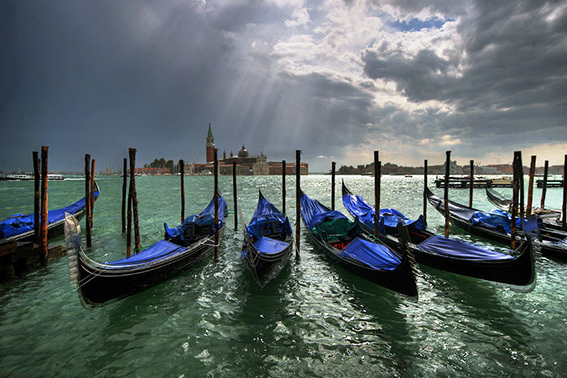 It’s nearly time for us to depart for our reunion in Venice! NB: If you’re NOT travelling via Monarch flight ZB5480 from Birmingham on the 28th. June, please let me know so that I can advise you on transfers etc. As you know, Wendy and I have visited Venice each year for the last ten years, so, while we don’t know everything there is to know about the island and it’s treasures, we certainly know enough to help you to get the most from our Reunion trip. Whether you want to explore on your own or join us for all or any part of our flexible itinerary, you’re going to have a great trip. We’ll all want to do and see different things during our three days but some will, I know, want to do things with Wendy and me, so we’ve put together an outline itinerary of things that Wendy and I will be doing – please feel free to join us or do your own thing. We don’t want you to feel restricted in any way from doing what you’d like to do. Transfer from Marco Polo Airport direct to our hotel on Venice (approx. 20km.) via Water Taxi in groups of six or eight. Approximate charge 35 Euro pp. payable in cash at time. Visit to church of San Giorgio Maggiore and its Campagnile (belltower). Pay for elevator ride to top – fantastic views of island. Return to hotel in time for rest break before preparing for dinner at 7.30pm at Mario’s - a local fish restaurant, or restaurant of your choice. Transfer from hotel to Marco Polo Airport (approx. 20km.) via Water Taxi in groups of six or eight. Approximate charge 35 Euro pp. payable in cash at time. It’s a good idea to download the Google map of Venice to your phone or tablet while here in the UK. 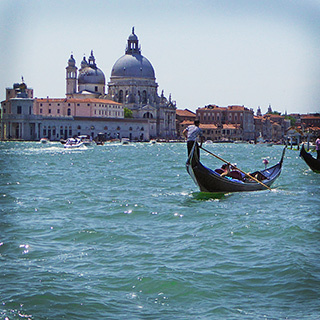 Tripadvisor has an excellent range of guides to Venice – worth checking them out before leaving. We’ll meet at Birmingham Airport next Tuesday and we’ll stay together until we reach the Hotel Sant’Elena, Venice. Questions? Just drop us a line at the email address link above. We’re looking forward to seeing you for a super trip! We have received a very warm letter of gratitude from the management of the hospital for the cheque we forwarded on behalf of the members of the Moseley School of Art Association as a donation in memory of the highly respected former MSA teacher Dr. John Swift. John passed away on Friday, 20th. May 2016 at Newton Stewart Community Hospital, a short distance from his home at Garlieston, Dumfries and Galloway. The cause of his passing was Bronchial Pneumonia, although he had suffered frailty for some time having grieved over the death of his wife, Jacquie on the 23rd. January 2013. John's funeral service took place at 12pm on Wednesday the 1st. June at Roucan Loch Crematorium, Collin, Dumfries & Galloway, DG1 4JF. Given the contribution that Dr. Swift made to our school and the early development of the Moseley School of Art Association, a donation of £100.00 was made in gratitude on behalf of the subscribing members of the Association in lieu of a floral tribute. Having agreed to write a eulogy for John Swift's funeral, I thought it more appropriate that someone who had actually been taught by John should write the eulogy on behalf of ALL former students, rather than just the members of the Association. I invited Dave Allen to do this, knowing how highly he regarded John as a teacher, and his eulogy, together with many others, was duly read out at the service by Marcus, John's eldest son. The eulogy (reproduced below) was very well received. Marcus has described the funeral as a hard but excellent day, with a number of people reciting poetry and personal tributes from friends and former colleagues. Marcus asked that the family's gratitude be passed to Dave and the other contributors, also for the donation to John's chosen charity (above) by members of the Moseley School of Art Association. "John Swift, teacher and Head of Arts and Crafts at Moseley Art School, Birmingham, and subsequently Emeritus Professor of Art Education at The University of Central England, was a man who’s work impacted many lives. I am writing as one of those individuals, but I hope this resonates with many others who knew him. John Swift was a maverick. If that sounds like a disrespectful thing to say, it is not. "An unorthodox or independent-minded person. Synonyms: individualist, nonconformist, free spirit, unorthodox person, unconventional person, original, trendsetter, bohemian…". exam, but to be good at Art: he was right – the exam grades and success of students is the stuff of legend. One of his last publications was An Illustrated History of Moseley School of Art: Art Education in Birmingham 1800-1975 (2004), a project had wanted to undertake when approached by Graeme Collins of The Moseley School of Art Association. Through my years at Art College I still referred to him as much as to my lecturers, taking my work to his house and getting private ‘crits’. And then we’d often have a drink and a long conversation into the night. This was typical of him. He stayed in touch with his students and attended their degree shows, even after he had moved into the world of academia. I’ve been teaching for a long time now, and still, when pondering an issue, I ask myself what would John Swift have thought about this? Not everybody has the opportunity to touch the lives of so many others, and not many are capable of doing it in the way John Swift did: an artist, an intellectual and a maverick". 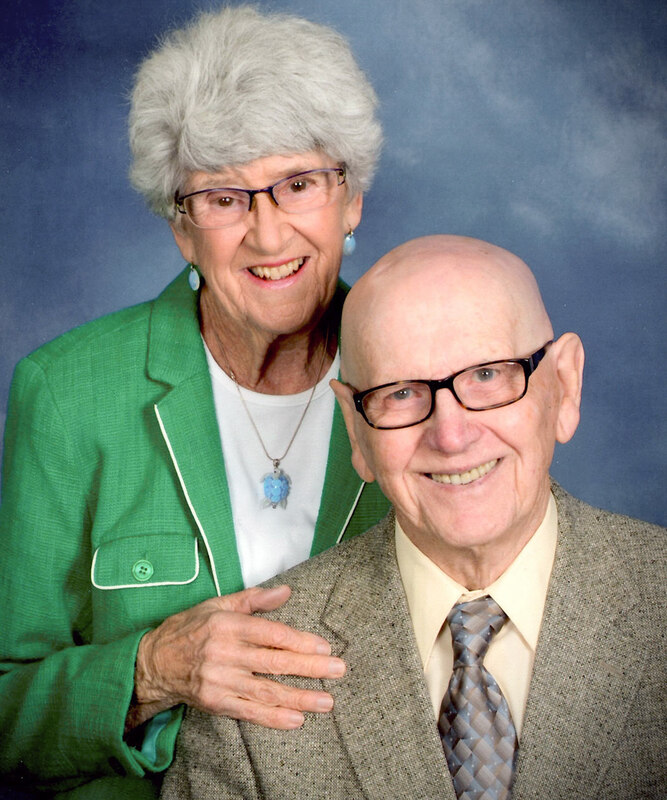 Additional Exhibition Prize We are delighted to announce that former student BRIAN BAILEY ('46) and his wife Valerie have once again very generously donated $150 to the Association to be used as an additional prize in our exhibition this Sunday. Both Brian and Valerie have had health problems recently and I'm sure that all our members will join us in thanking them for their generosity, and wishing them a speedy recovery. 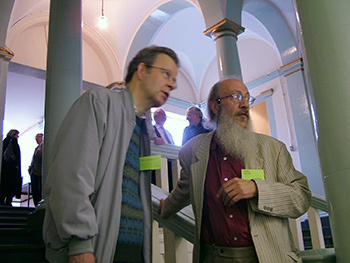 Brian is pictured (left) at his recent Reunion attendance. Thanks to all who are helping to make our 2016 Reunion & Exhibition special! We now have 14 exhibitors bringing works including former teachers Bob Ashby, Barbara Faulkner (Woodward) and our former Exhibitions Secretary Pam Headford (Gilbert). We already have a great attendance pre-registered and it's going to be a meeting to remember. Thanks go to all those members around the country and around the world who have wished us success and have forwarded their apologies for not being able to attend - a full update on proceedings following the meeting will be posted as always. 2016 Reunion and Exhibition of Works - Final Call! FINAL CALL for the Annual Reunion this Sunday at Kings Heath Cricket Club, 247 Alcester Rd South, Birmingham B14 6DT this coming Sunday, 15th. May 2016. We have to get the final order to the caterers by 6pm this Friday. If you haven't yet confirmed your intention to attend, it's essential that you PLEASE PRE-REGISTER so that security badges may be prepared and the catering order arranged - failure to pre-register could result in long waits. Please email your pre-registration HERE stating your full name, years attended MSA and the full name of the person attending with you. Admission is for Members Only - your subscription fee may be paid at the door and will entitle you to admission and lunch for yourself and one other person. If you have any doubts as to your eligibility for membership, just email us. The doors will open at 10am, and coffee and biscuits will be available. Our (brief) AGM will commence at 11am and our super lunch will be served at 1pm. The bar will be open from 12.00. We already have a great attendance pre-registered, and we're looking forward to a very full day filled with friendship and happiness among our members. 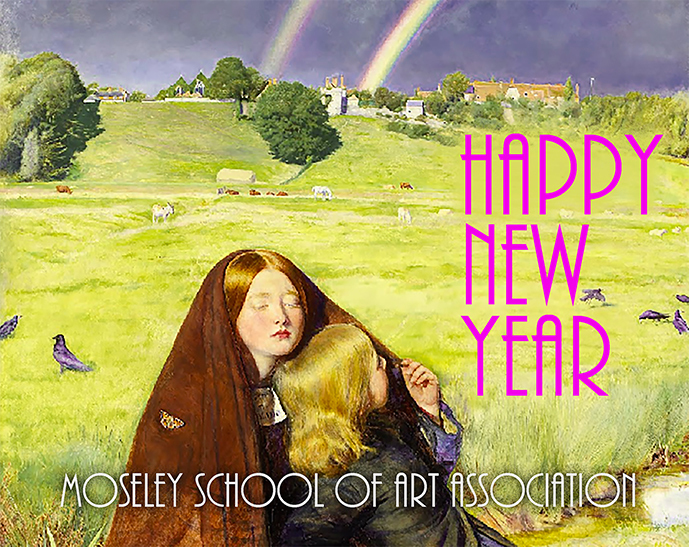 Everyone attending will receive a Moseley Art School keyfob, and copies of Professor John Swift's 'History of the Moseley School of Art' will be available at the specially discounted price of £12 to members (one copy only per member). Payment of your membership subscription of £17.50 entitles you to free admission and a sumptuous lunch for yourself and one guest. You can pay at the door by cash or credit card. You'll be in good company - there'll be former pupils present from every era of the school, and there are no strangers . . . only friends you have yet to meet. We're also likely to have our highest ever number of exhibits thanks to our hardworking Exhibition Coordinators Cate Hadley and Jan Williams. It's going to be a great day! 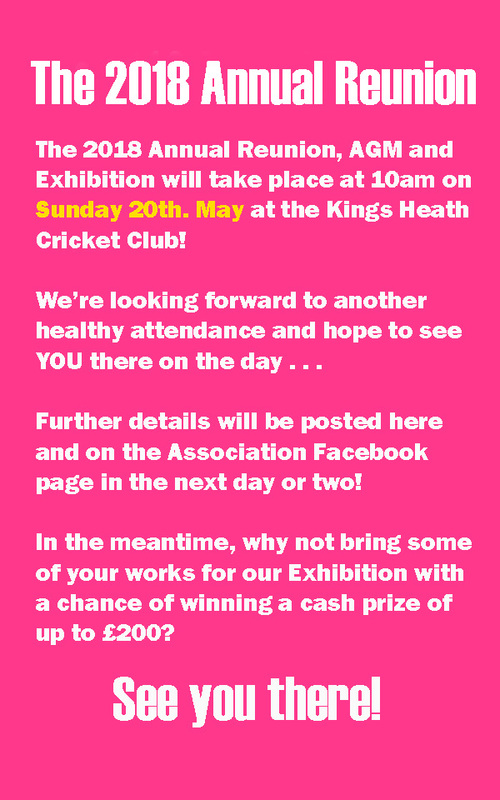 We look forward to seeing YOU at Kings Heath Cricket Club for a very happy day full of renewed friendships and happy memories of our old school, no matter what years you attended.